Have you stared out into the landscape and marvelled at the moody misty scenes of trees and rivers? 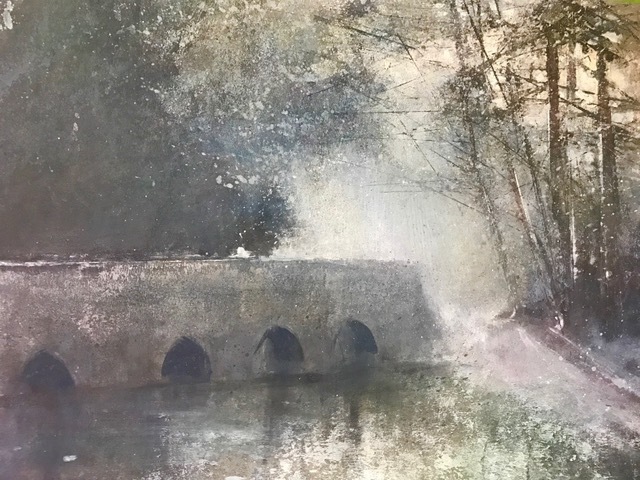 Using a contemporary approach to painting the aim of this course is to explore the process of creating texture and atmospheric depth in Watermedia paintings. From starting with a Grisaille painting, we will layer ink, acrylic and watercolour by applying veils of colour to build up the surface. Each day there will be a Demo on this unique way of working and in finding ways for you to expand your painting dialogue. Nicki is also a member of The Royal Institute of Watercolors in London, UK.